I need to do some work on the sky. However the horizon is complex due to buildings and trees (the sky shows through the trees). What would be the best way to do the masking. In PS I would probably use something like Colour Range. 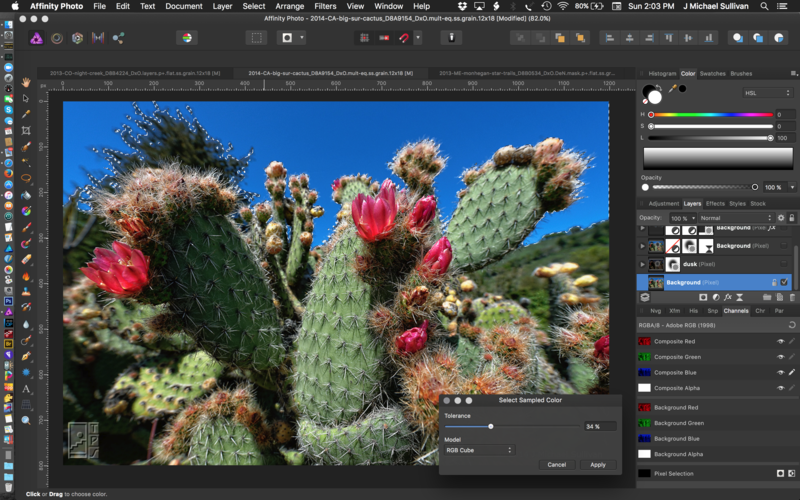 In the attached screenshot of some cacti, I am using Select Sampled Color to get a pretty good sky selection. Sometimes, using the blue channel can also give you a good starting point. Care to post the photo you are having issues with?